Mainers now own the dam that ruined their lake. Here’s how they plan to bring it back. The Clary Lake Association plans to immediately start work to restore Clary Lake’s water level once it takes ownership of the Clary Lake Dam. The Clary Lake Association plans to immediately start work to restore Clary Lake’s water level once it takes ownership of the Clary Lake Dam after seven years of legal wrangling. A U.S. Bankruptcy Court judge approved the sale in an oral ruling Sept. 28. The association will receive the deed after a 14-day appeal period. The Clary Lake Association will pay the bankruptcy trustee $80,000 for the dam. Secretary George Fergusson said the association has raised the money. He does not expect an appeal of the ruling. Of the $80,000 purchase price, the trustee will pay Medius L3C $32,500 to satisfy the mortgage on the dam, according to an order by Judge Michael A. Fagone. The rest of the $80,000 will be used to pay legal fees and creditors. Fagone stripped restrictive covenants on the dam set in the summer of 2013 by AquaFortis Associates LLC and Pleasant Pond Mill LLC, Fergusson said. The covenants would have restricted the water flow through or over the dam to no more than 50 cubic feet per second. The covenants were established to prevent damage to the mill building from water flowing downstream. Pleasant Pond Mill LLC currently holds the deed to the dam. Paul Kelley, the sole member of Pleasant Pond Mill LLC, must file evidence of the deed transfer within seven business days after the order. Richard Smith, the sole member of AquaFortis Associates LLC, will continue to own the old mill house on top of the dam. AquaFortis Associates LLC will also continue to own the Clary Mill building across Route 218 from the dam and a 1-acre parcel of land next to the dam. The Clary Lake Association will have to pay any outstanding property taxes on the dam to the town of Whitefield and uphold a water-level order issued by the Maine Department of Environmental Protection in 2014. “We are very happy we finally prevailed,” Fergusson said. Once it has full ownership of the dam, the first step for the association will be to repair the dam. The association has Linkel Construction Inc. of Topsham lined up to do the work, Fergusson said. He is not sure if the work will be done this year or next. The estimated cost of the repairs is $35,500. The association will then comply with the water-level order originally issued to Pleasant Pond Mill LLC by the Department of Environmental Protection in January 2014. The order directed Kelley to fix the deteriorating dam, which was breached during Hurricane Irene in 2011. Since then, the water level has dropped significantly. Clary Lake straddles the towns of Whitefield and Jefferson, and is part of the Sheepscot River watershed. After the Department of Environmental Protection issued the water-level order in 2014, Kelley sought to dissolve Pleasant Pond Mill LLC. The entity filed for Chapter 7 bankruptcy protection in March 2017. In November 2017, Kelley filed for personal Chapter 7 bankruptcy. Kelley has been involved in related legal conflicts since 2011. In October 2015, Kelley received a notice for failure to comply with the water-level order. In winter 2016, Medius L3C unsuccessfully tried to foreclose on the dam, Fergusson said. 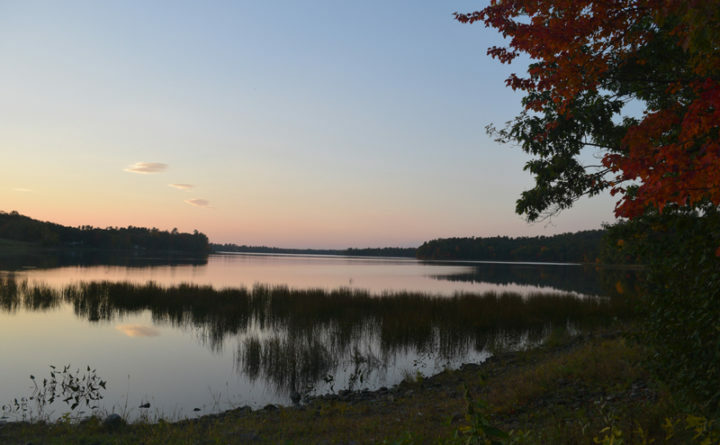 In January 2016, Robert Rubin and his wife, Cheryl Ayer, filed a lawsuit against Kelley, Smith, Pleasant Pond Mill LLC and AquaFortis Associates LLC in Lincoln County Superior Court alleging harm to their property as a result of the dewatering of Clary Lake. The lawsuit is pending.